After they were married in 1933, Wayne and Betty Smith settled down to start a ranch in the San Rafael Swell. They chose a site near a spring, which would supply them with water necessary for survival. However, artificial seismic activity in the region, caused by drilling for water, destroyed the natural spring. Wayne and Betty later moved to Green River. Today at Smith’s cabin, there are several ranch buildings and corrals still standing. 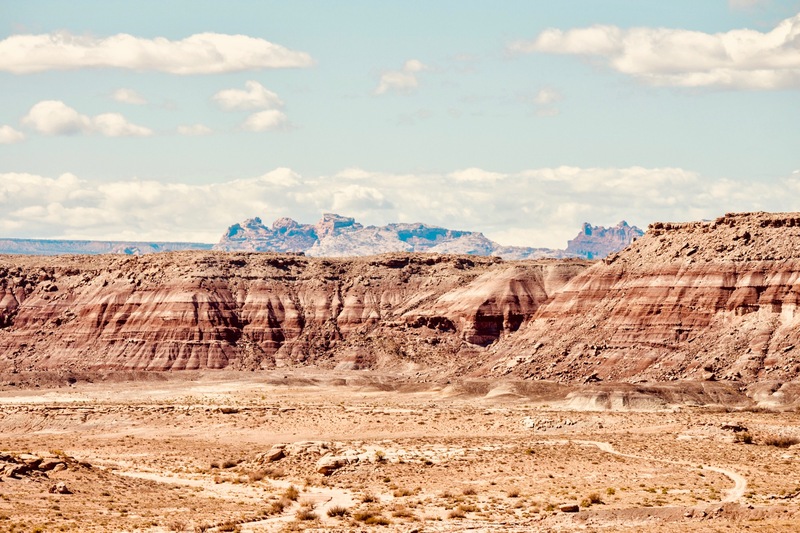 Though some of the cabins and cattle yards are currently in various states of decay, enough is left of this scenic ranch to give you a feel of frontier life in the San Rafael Swell. The cabin was destroyed by timber seeking vandals circa 1960. To the right is Granny Smith in 2009 on her 95th birthday looking over her home.